All these came for Christmas, and after plenty of use I can tell you what they're like. The too big one on my wrist is a Timex with a GPS. I don't know how thick it is but it's comical. I use it to track the distance of my running. It's too big to wear for anything else. The battery is rechargeable with a USB, and lasts maybe three weeks before the display goes blank. Charging it is easy and quick, but don't lose the cable. The GPS feature is only average, and usually can't find me until I'm a mile or so into my run, when it beeps to let me know it's ready to start tracking my run. Thanks. The gui is okay, but the controls aren't intuitive so I've had to return to the manual a few times now to remind myself how to do things. The body of the watch has a nice, soft textured rubbery feel, which blends seamlessly into the poorly designed strap. The strap had a kind of fin on the end of it, presumably to keep it from pulling out of the strap keeper, but they made the fin so big that it makes it almost impossible to remove the watch from your wrist. I cut it off. Since the strap is integrally molded with the case the watch will be useless when the strap deteriorates, which of course they all do. I think Timex doesn't want me to keep this watch for too long. I asked for advice about the two kid watches around Christmas time. 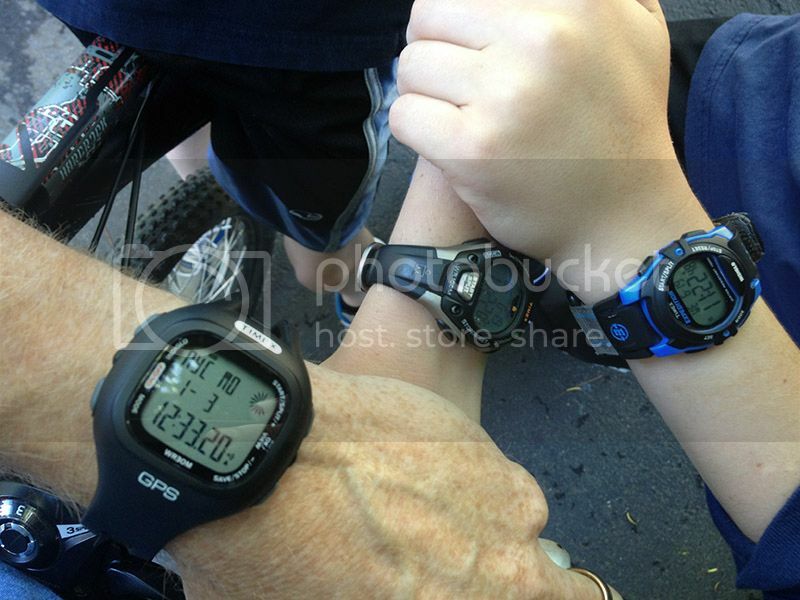 I settled on these two Timex watches for my rough-and-ready boys. One is an Iron Man and the other is called an Explorer. They're perfect. Easy to use, no instructions necessary, waterproof, and they look good. I recommend them unreservedly. Thanks for the help back in December!